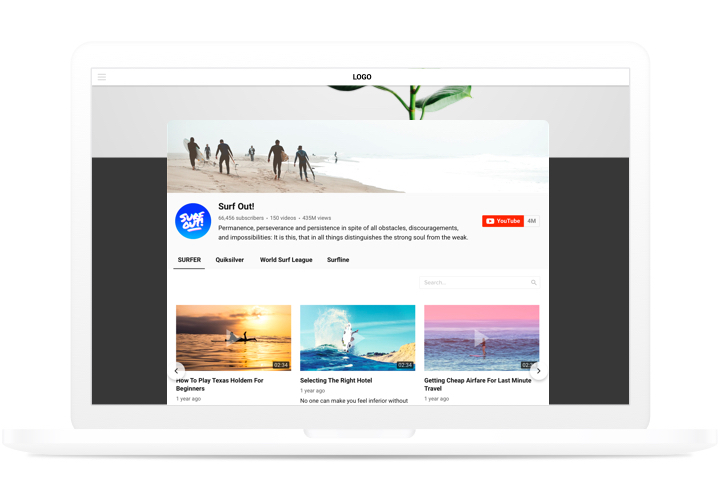 A multifunctional plugin for YouTube, which enables you to embed all kinds of videos on your website. 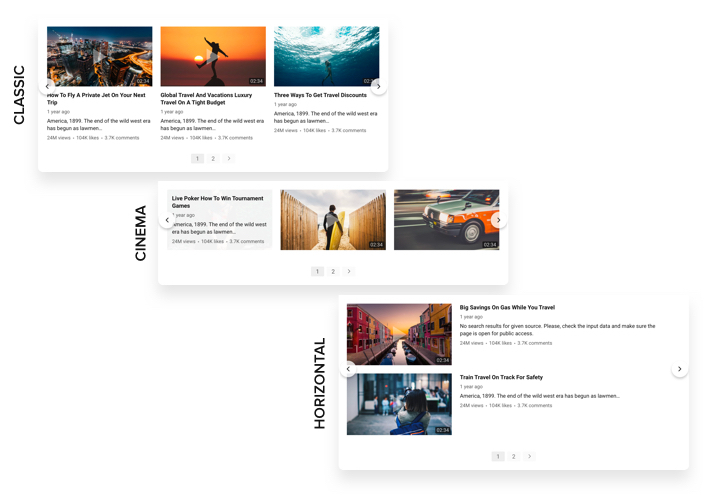 Select the desired channels and single video clips to design your personal playlist and integrate it right on the page in the right layout (video gallery, portfolio, channel, single video). Our widget is perfectly adaptive to all gadgets and systems; it features over 100 options, flexible template and many different traits, which enable you to integrate it on diverse websites.Create an effective personalized video gallery for maximum interest of your clients. Increase cooperation with the audience of your site supported by YouTube videos. 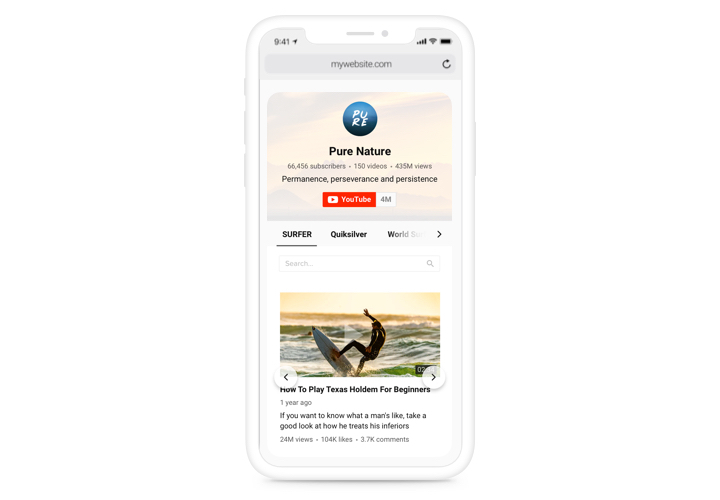 Attract your site audience with cool content from YouTube and keep them attracted more and more. Let promotional YouTube content attract more sales. 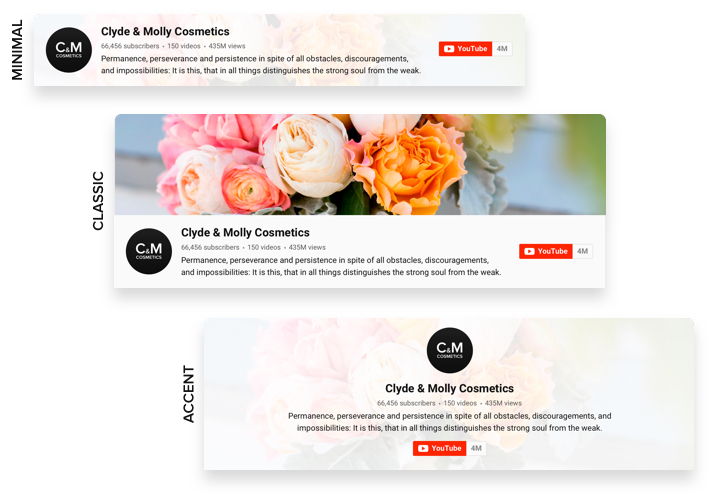 Integrate promo videos, analytical videos, guides, overviews and more to provide users with full information about your offers and push them to create an order. Top readers for your YouTube page. 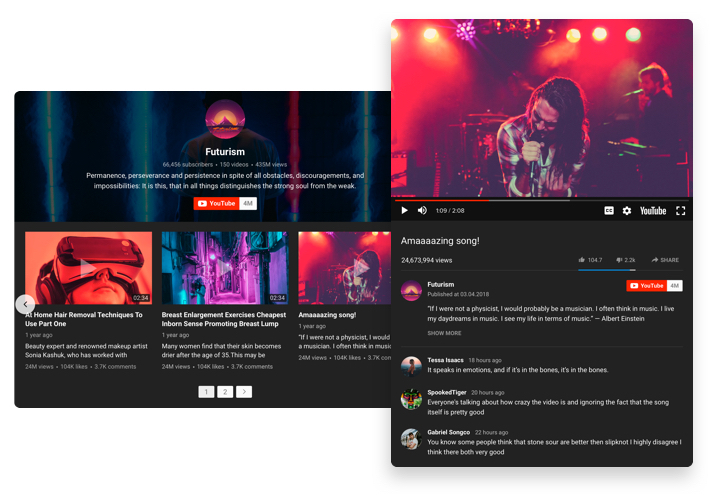 Turn website visitors into your fans on YouTube. 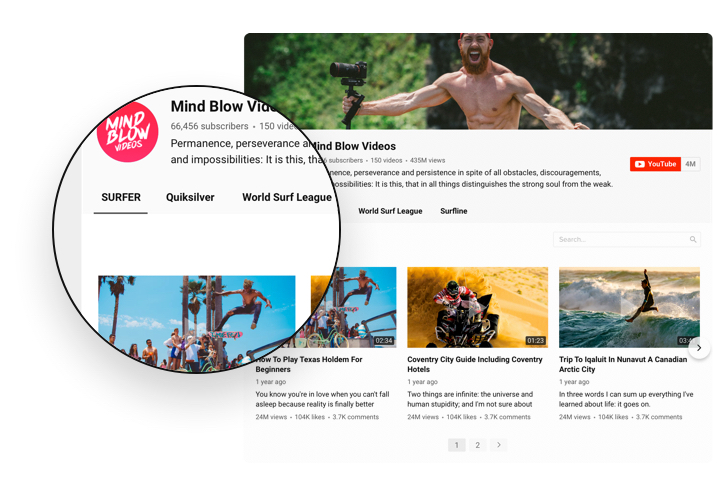 Show them a fast and simple variant to watch videos and follow your channel directly from the site. The advantages of Elfsight plugin, which turn it into the best toll to embed YouTube videos on a Joomla page. A simple instruction by Elfsight on displaying and personalizing the extension without experience in web programming. Total setup time is about 1 minute. Download the extension and integrate it on the website. Go to Joomla Marketplace, find YouTube Video Gallery page, and get the extension via «Download» link. Then add it to your site. Install and set the extension. In «Install Extensions» section, on «Upload Package File» tab, integrate YouTube Gallery. Then, open «Components» section, click the installed extension, and choose the desired settings. Place YouTube extension on your website. The individual code, obtained after installation, should be placed to the chosen page of you site. Then publish all the results. Extension embedding to Joomla is complete! Visit your website, to view your Video Gallery! Any problems occurred while installing or changing parameters of YouTube Extension? Simply use an extended instruction «How to add YouTube on Joomla» and do it on your own one more time or write to Elfsight customer support with a comprehensive explanation of the problem. We will do our best to advice from 10 a.m. To 7 p.m. CET, Monday to Friday. Shape a fascinating Joomla YouTube Plugin in just 80 seconds!